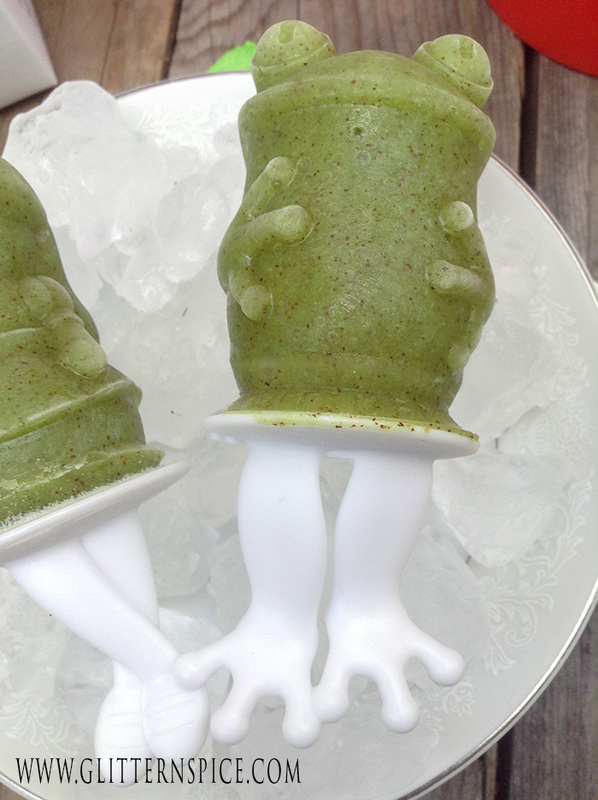 Zoku Ice Pop Molds make a charming snack and party favor idea for a Princess And The Frog birthday party. 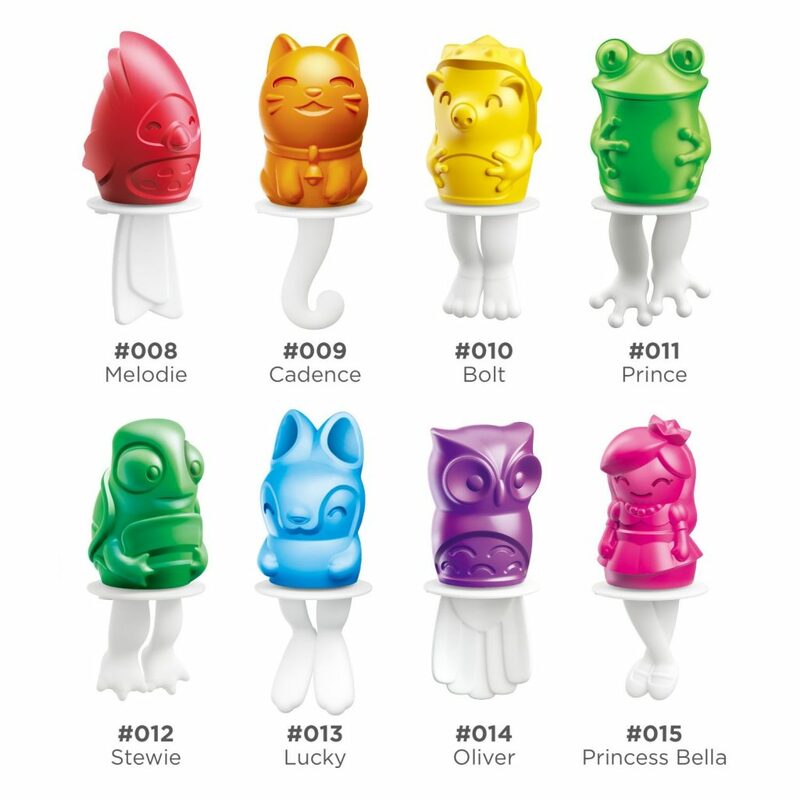 Make cute character popsicles for your party guests to snack on and then give them each a princess or frog shaped Zoku Iced Pop Mold to take home with them. 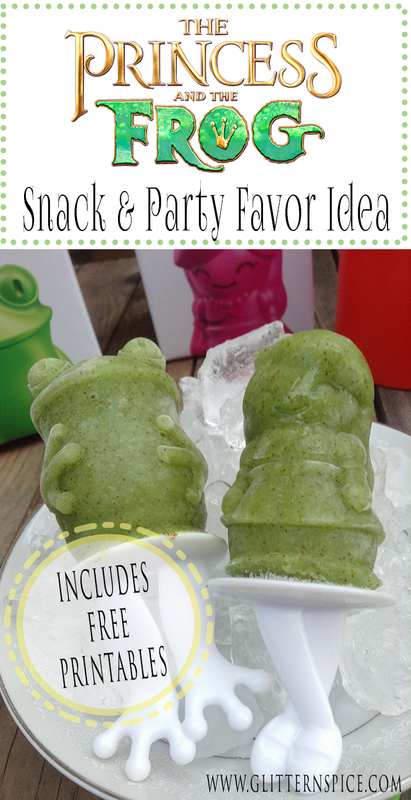 There is even a set of free printable Princess And The Frog thank you gift tags and a “swamp water” popsicles sign for you to use if you wish. One of my biggest pet peeves is birthday party favor bags filled with useless junk and candy that seems to be the standard loot sent home after a child’s party. Don’t get me wrong… I appreciate the gesture and I don’t expect my kids to get a gift in return for attending a birthday party, but if the parents of the birthday child would like to give a small thank you gift, I would rather they spend their money on something that won’t end up in the garbage bin. Individual character Zoku Ice Pop Molds cost less than $10 apiece which will probably end up costing you less per child than if you were to buy a bunch of candy and party favor trinkets. That stuff can get crazy expensive! Since I know I would be absolutely thrilled if my child came home with a Zoku Ice Pop Mold in their party bag instead of candy and trinkets, I can only guess that you would be happy too! So why not be that party mom or dad that will be the talk of the neighborhood (in a good way) and hand out party bags that every child and parent will love to receive. 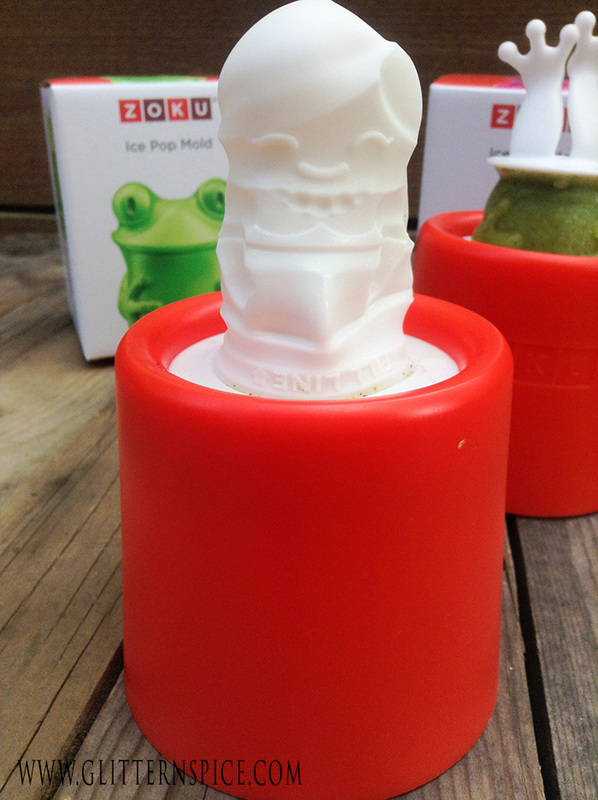 I received a set of Zoku Character Ice Pop Molds to try free of charge. I am not being compensated for this post, but it does contain affiliate links which means that if you click on one of the product links, I’ll receive a small commission at no extra cost to you if you decide to make a purchase. The opinions and ideas expressed on this page are purely my own. Zoku has a fun line of frozen dessert products for making ice cream, popsicles, slushies and iced coffee drinks. Follow Zoku on your favorite social media platforms to stay up-to-date on the latest products and to get delicious recipe ideas. 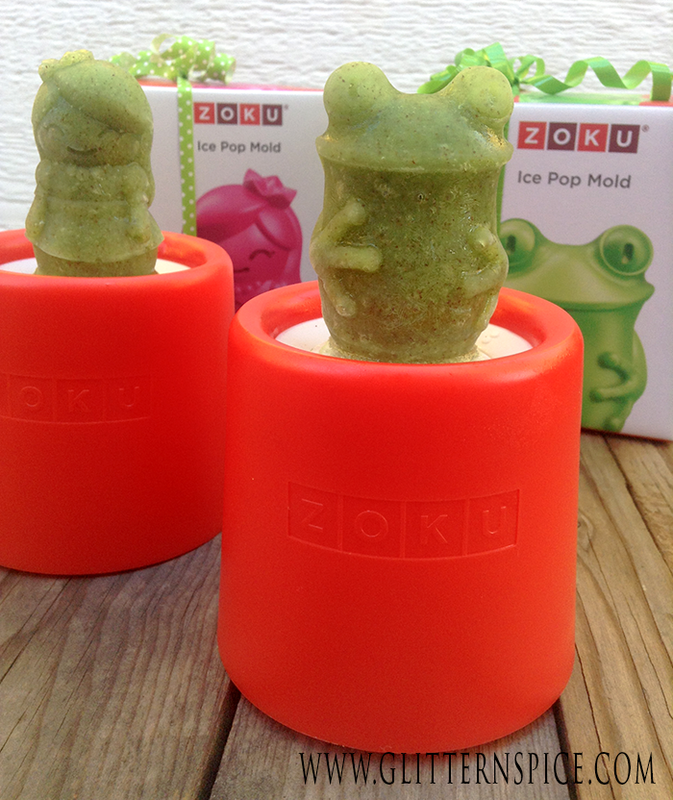 Out of the 8 cute, character Zoku Ice Pop Molds available, the princess ice pop mold and frog ice pop mold are the perfect shapes for a Princess And The Frog themed birthday party! Each popsicle mold holds approximately 1.5 ounce of liquid, making these a great size for small hands, light eaters or as a mini-snack. To match the color of the frog and the dress Tiana wears, I used fresh kiwi fruit that I pureed in the blender with a little added sugar to sweeten them up a bit to make the popsicles. If your kids don’t like the tartness of kiwis, you can use green Kool-Aid, green jello powder mixed with water or even spinach blended with bananas instead. Or you can enlist the help of your little ones and have them add a drop of blue food coloring to pineapple, orange or mango juice. They will be delighted watching the yellow juice transform into green juice. You can turn this activity into a mini lesson on primary colors. A combination of yellow and green popsicles would work great since those are the two main colors in the movie. Pour your fruit puree or juice into the molds. If you are using pureed fruit, gently tap the molds on the counter to release any trapped air bubbles and to make sure the tiny details of the popsicles are filled in. Insert the popsicle sticks into each mold, lining up the dots that are on both the handle and the mold. This is so the legs don’t end up crooked on the bodies. Place the molds in the freezer for 4 to 6 hours before serving. The ice pop molds have an inner silicone sleeve making the popsicles super easy to remove. There is no need to twist the popsicles or run the molds under water. Just pull upwards and the popsicle will slide right out of the soft, flexible silicone ice pop mold. The ice pop mold has a wide and round base that is sturdy that does not tip over easily which is great for little helpers. They are BPA and phthalate free so you don’t have to worry about harmful chemicals leeching into the popsicles like so many of the older plastic popsicle molds contain. They are also very easy to wash in warm, mild soapy water. Turn the silicone sleeve inside out to clean all the tiny little crevices easily. Set them on the counter to air dry. They are not recommended for the dishwasher. The princess Zoku Ice Pop Mold is super sweet. 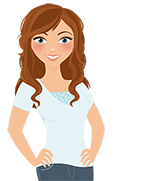 The handle of the popsicle are her legs, which are crossed and wearing shoes. She is wearing a dress, a hair bow and a necklace. The frog Zoku Ice Pop Mold is my favorite and I happen to think he is pretty handsome. The handle of the popsicle are his legs with webbed feet. Very cute! I especially like the webbed hands resting on his round belly. 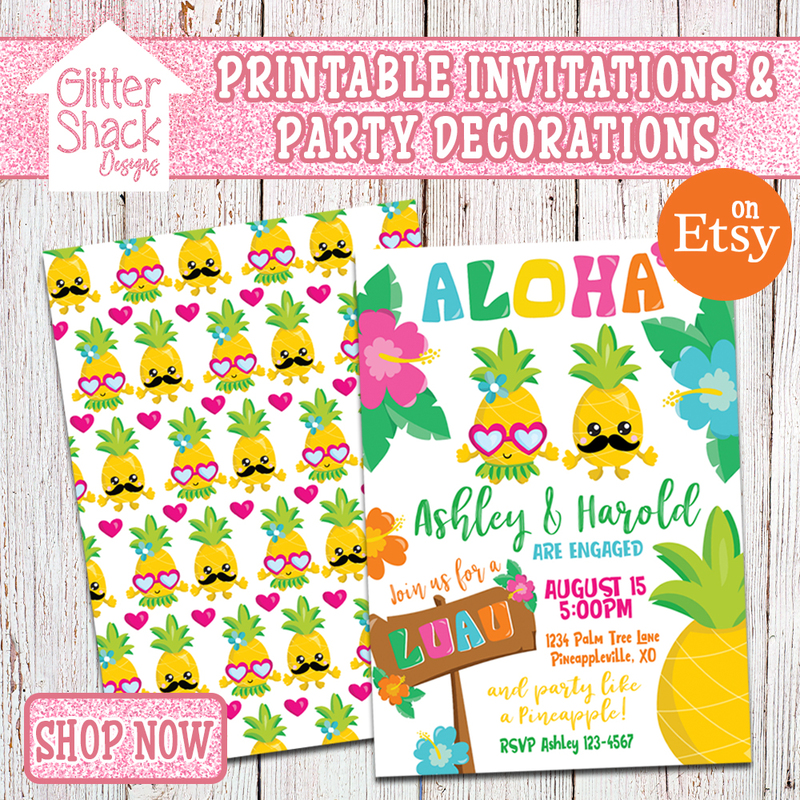 These printables are the copyright of Glitter ‘N’ Spice and are free for personal use only. 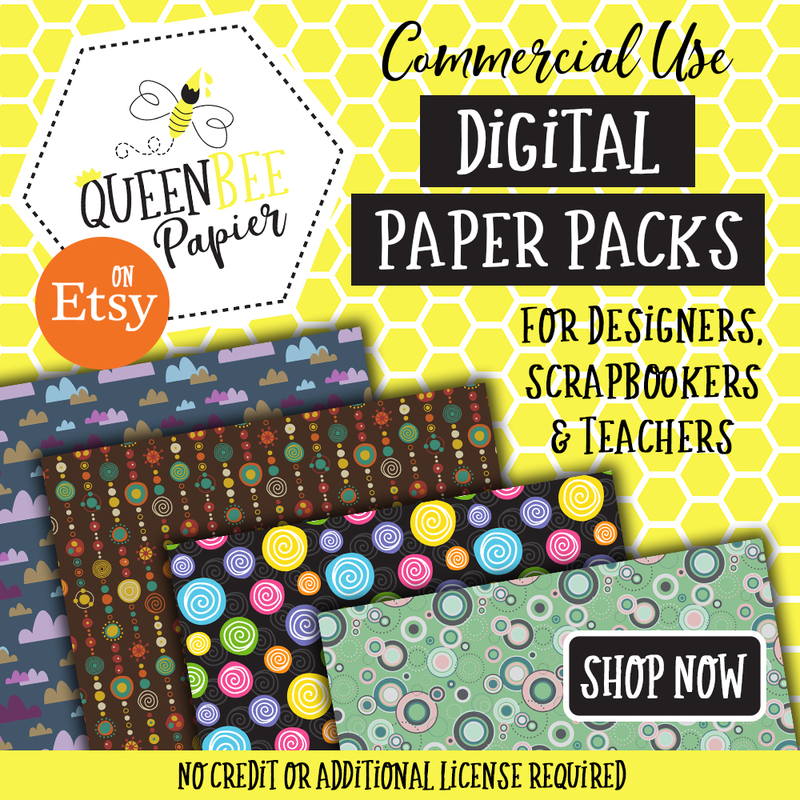 You may not use these printables for commercial purposes. The images below have been re-sized and saved for the web. Right clicking and saving the images below will not yield print ready images. You need to click on the link to download the print-ready, high resolution 300 dpi pdf files. Uncheck the ‘scale to fit’ box in your printer settings before printing. 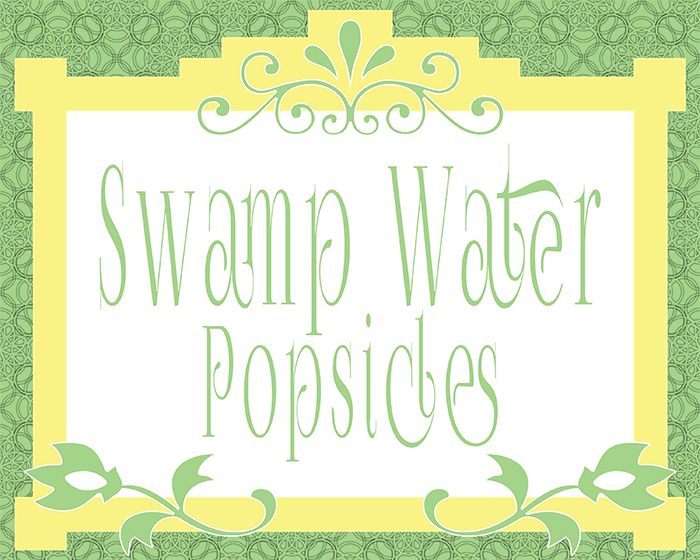 Here is an 8″ x 10″ printable “swamp water” popsicles sign that can be used to display the frozen popsicles on a food table. Swamp water popsicles are a frog’s favorite snack, besides flies of course, and kids will be thrilled to munch on these tasty ice pops. 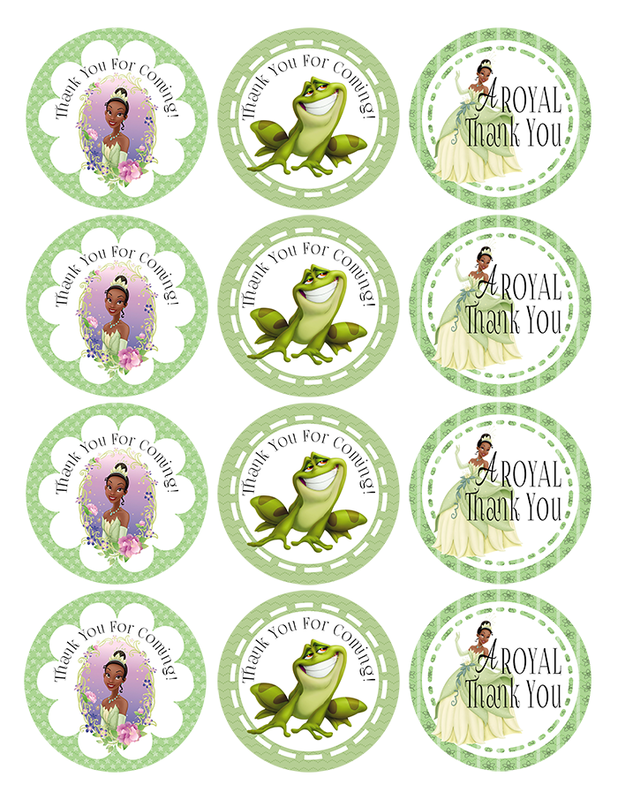 Here are a set of printable Princess and the Frog thank you tags that you can attach to party bags. Punch a hole in the top of each gift tag with a mini hole punch and string a piece of ribbon through the hole. Wrap some pretty ribbon around the boxes of ice pop molds and add a cute thank you tag. It doesn’t get any easier than that! Let kids pick out their favorite character to take home or keep it a surprise. 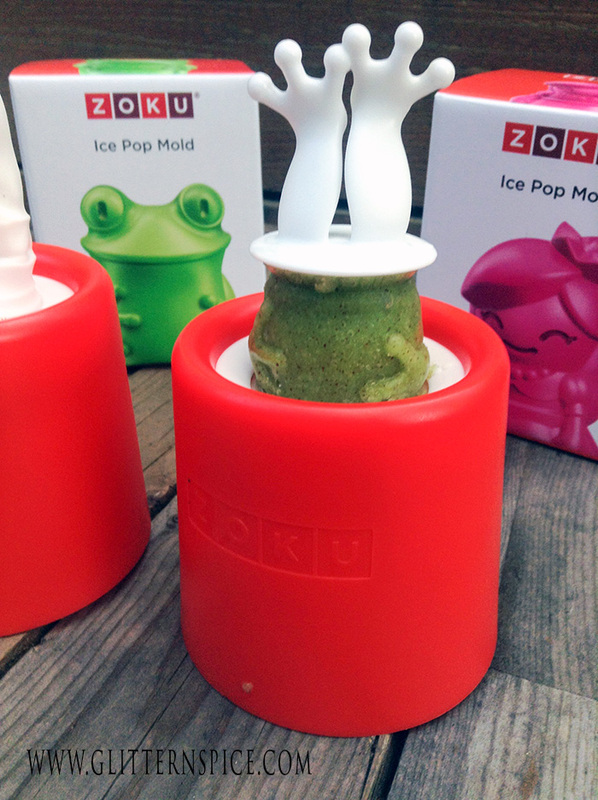 Zoku Ice Pop Molds Are Not Just For Popsicles! Fill the molds with your favorite melted chocolate or candy instead! In keeping with a green theme, you can pour melted Wilton Green Candy Melts or melted green hard candies into the molds instead for a non-frozen treat. You could even make candy popsicles ahead of time and put them back into the box for a sweet surprise when the party guests get home. 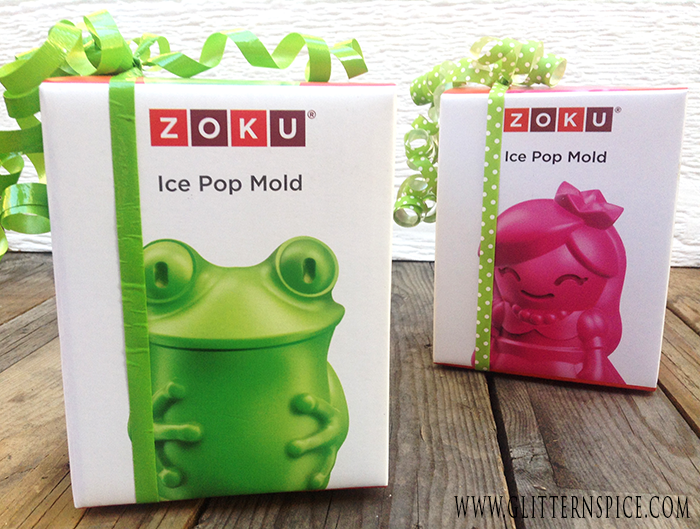 A copy of the Princess And The Frog movie or book, paired with a couple of Zoku Iced Pop Molds, would make a wonderful gift for the birthday child. What could be more fun for kids than sitting down to enjoy watching or listening to the enchanting story of the Princess And The Frog while snacking on princess and frog shaped popsicles? Cooking plays a large role in this movie. Princess Tiana is an aspiring chef who is working as a waitress until she saves enough money to open her new restaurant. 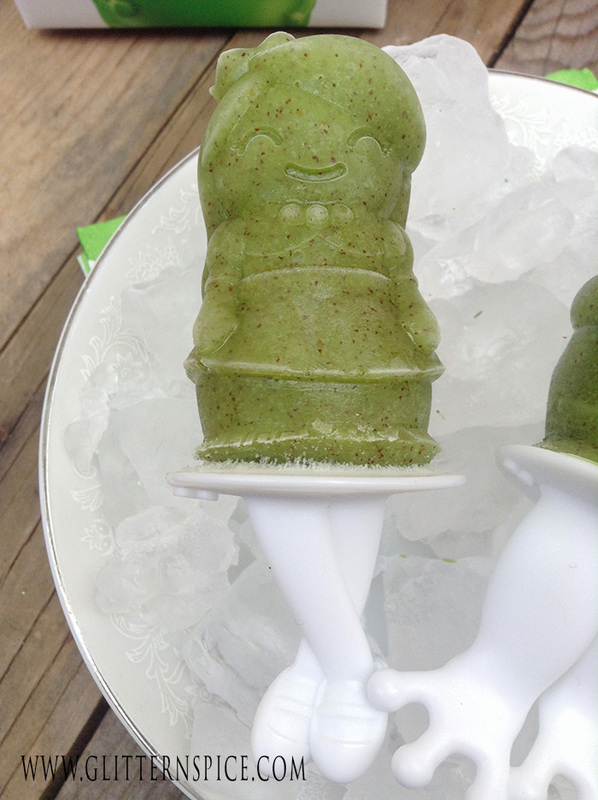 Bundle a copy of Tiana’s cookbook and a couple Zoku Ice Pop Molds as a gift for your own little chefs. Join Us On Pinterest For More Fun And Delicious Zoku Recipes! 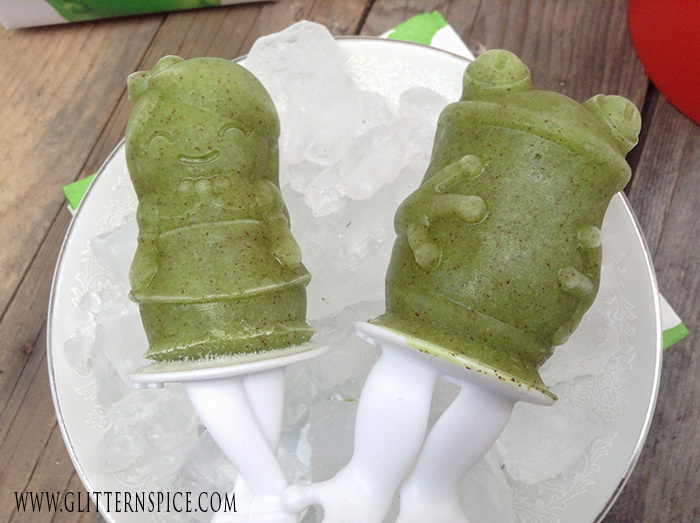 Follow Glitter ‘N’ Spice’s board Zoku Recipes on Pinterest.